Microsoft Workers Protest Army Contract With Tech 'Designed To Help People Kill' They say Microsoft's contract "crossed the line" into weapons development for the first time and that the company is failing to inform its engineers "on the intent of the software they are building." 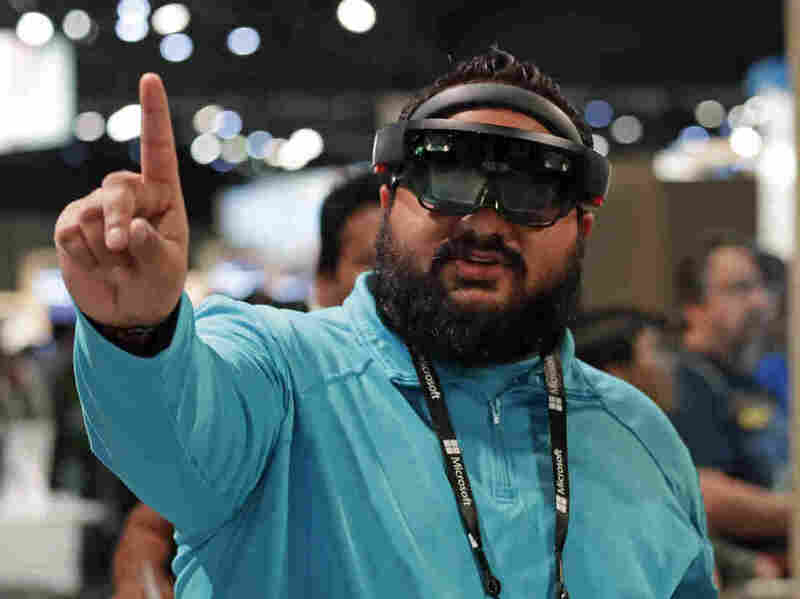 Raman Ghuman demonstrates a HoloLens device at Microsoft's annual conference for software developers on May 7, 2018, in Seattle. Microsoft workers are protesting the use of the augmented reality technology in a U.S. Army contract. The November contract is for what's called an Integrated Visual Augmentation System. "The contract's stated objective is to 'rapidly develop, test, and manufacture a single platform that Soldiers can use to Fight, Rehearse, and Train that provides increased lethality, mobility, and situational awareness necessary to achieve overmatch against our current and future adversaries,' " the letter said. "We are alarmed that Microsoft is working to provide weapons technology to the U.S. Military, helping one country's government 'increase lethality' using tools we built," the workers wrote. "We did not sign up to develop weapons, and we demand a say in how our work is used." Bloomberg reported that the contract could eventually lead the military to buy more than 100,000 headsets from Microsoft. 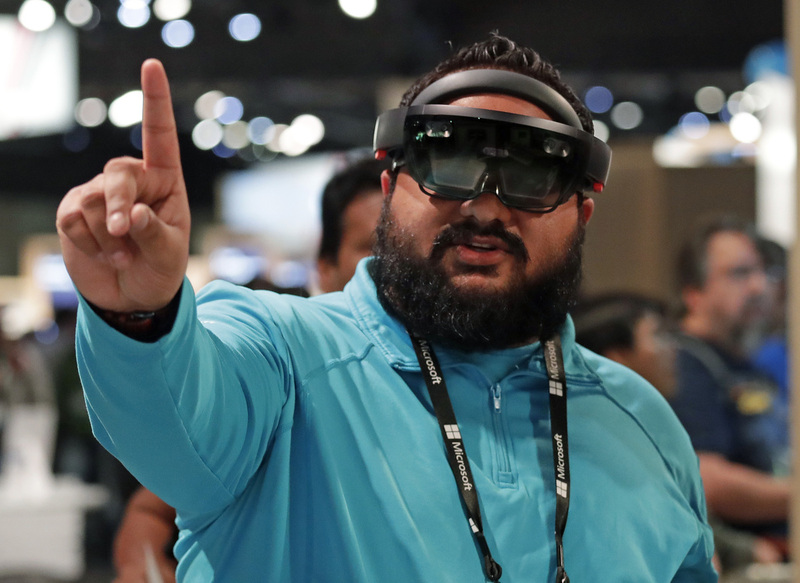 "The U.S. Army and the Israeli military have already used Microsoft's HoloLens devices in training, but plans for live combat would be a significant step forward," the report said. "First, we believe that the people who defend our country need and deserve our support. And second, to withdraw from this market is to reduce our opportunity to engage in the public debate about how new technologies can best be used in a responsible way. We are not going to withdraw from the future. In the most positive way possible, we are going to work to help shape it." Friday's letter to Microsoft leaders is the latest instance of U.S. technology workers standing up to their companies over the companies' lines of business or policies. Last year, Google workers protested the company's plans to create a censored search engine in China. And Google decided not to renew a contract with the Defense Department after workers resigned to protest a controversial project involving artificial intelligence for drone footage analysis. Tech workers from Salesforce, Microsoft, Amazon and Google pressed their CEOs to cut ties and end contracts with U.S. Immigration and Customs Enforcement and other government agencies.